The world today is experiencing it's greatest economic crisis since "the great depression" way back in the 1930s. Because of this, many companies are doing cost cutting measures to maintain their financial health. Salary freeze, reduction in work force, early retirement offering, and even plant or site closures are just some of the moves that most companies are doing nowadays. This crisis further tightened the already tight competition in job search. How can you cope with this elevated level of competition? Here are some tips that can make a difference whether you will get the job you want or not. Submitting a well prepared, concise and organized curriculum vitae (CV) is one of the most important tool to increase your chance of being employed. Usually, when a resume do not catch the attention of the initial scanner, it will just fall on the trash can. No matter how well qualified you are, when no body see your classification clearly, it won't even matter. How can you avoid this to happen? Prepare a concise resume with the most important information at the beginning of it. Unlike traditional resume format (a.k.a Bio-Data) that puts the general information like birthday and birthplace at the beginning, good resumes put first vital employment information first such as your experience and other important credentials. Since these information are usually the basis for hiring an applicant, it should be clearly stated earliest on your resume. Also, if possible, avoid submitting very long resumes. Give your interviews your best shot! Upon your successful inclusion to potential hiring because you did a great job on your resume and of course you are qualified, the next big event you have to prepare is your interview. May it be a phone or personal interview, do your best. I remember my former manager who selected me among the many applicants who is of the same credential, he said: "If you are given a chance to be interviewed, give it your best shot! It's a very rare chance, so take it and show what you are...first impression last." Yes, though you cannot prove yourself in just a few minutes or hours of interview, it will leave an impression of what you can do and what are your potential benfits to the company. Be enthusiastic in your interview. Give it energy to show your willingness and eagerness to get the job that you want. Do not forget to smile. Also, present yourself in a nice and professional manner. DO NOT BE LATE. It's a super MINUS on you if you are late on your interview. Wear an attire that shows formality and decency that is always wanted in every company. Even if there are a lot of job opportunities around you, but you are not informed, it will be useless. Also, if you fail to apply quickly especially for jobs that has limited available positions, chances are, your resume will be the last to be considered if not all the positions are already filled. The solution is to be always updated with the latest job openings, job fares, or any event that can possibly help you find a job. No matter how difficult it is to find a job today, you can still find ways to make it! with perseverance and diligence and following the above tips, you can maximize your chances of finding and getting your dream job. Before, when production quantities only amounts to tens and hundreds and most of product manufacturing is done either manually or in a small shop using few machines, quality control is quite easy. All you need is to check all your finished products or parts if it meets all the required dimensions and its tolerances. But as manufacturing enters “mass production”, quality check was elevated to a superlative degree. Before, 99% quality signifies a high quality production process. So if the total quantity produced is 100, only one is defective. Fairly acceptable, isn’t it? Today, however, 99% is just far from acceptable. Now that production quantities amounts to millions, 99% quality translates to 10,000 defective products in a 1 Million produced! Also, the complexity of the manufacturing process has increased dramatically. Before, creating one finished product can only take up to 10, 20 or even 50 steps and the number of components only amounts to a maximum of a hundred. Now, there are products that take up to 100 or more steps and components up to 1000 in number! Imagine the outcome if each step or each part is 99% in quality! This concern has been one of the greatest challenges facing the manufacturing industry today. Indeed, 99% is just not enough…even far from what is acceptable. Improvement is a continuous process the manufacturing world is taking. Many techniques on quality have been developed. Most of these quality concepts involve one branch of mathematics we sometimes take for granted-Statistics. Yes, you cannot check all the 1 Million products, do you? The quality inspection group depends on samples or small portions to predict the quality of the entire amount. Also, various statistical approaches and techniques have been developed to aid in quality improvement. 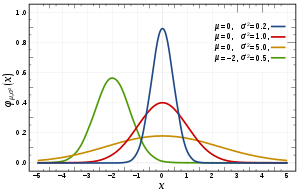 Among these are Six Sigma, Design of Experiments (DOE) and Taguchi Methods. Yes, never before had statistics played a vital role like these in the world of manufacturing. In the future articles of this blog, we will discuss some of these quality improvement techniques. Review materials are very important in preparing for the board exam. The good news is there’s a lot of available ME review materials for you. The bad news is, they are too many and reviewing all of them will take forever. The key is to have a good selection among those materials. Here are some of my recommended review materials. For me, this is the top priority or the most “must have” material of all. It gives you a hint on what the board exam looks like. You can study the questions given and use this information to optimize your review. For example, have you noticed the frequency of “elements” or “terminology” question compared to computation? Yes “terms” comprises of roughly 70% of board exam questions. Use this information to adjust your review. Don’t just focus on computations. Another thing you could notice is that the computations are fairly simple. What does this tell you? Simple, don’t focus your time to computational problem questions whose solution takes two page of paper. Focus on simple ones. I’m not saying that you must not learn how to solve difficult, long solution computations; I said FOCUS or put PRIORITY to simple ones because they have the greatest chance of appearing in the actual board. It’s now up to you to take note of what you can see from the line of questioning in the board exam. The point I’m trying to make is to prioritize having a copy of board exam questions. There are books that put these at the end portion. I can’t anymore remember the title of that book but it was published by an owner of an engineering review center. Anyway, the rest of the book is not that important, except the potion that contains terminologies on engineering economy. Terms such as bonds, asset, t-bills, etc have made frequent appearance on the board exam. It’s worth to study these. Anyway, many books are already publishing these terminologies so don’t be curious anymore with the “red book”. Actually I call it “red book” because its early edition has a red cover. Again, I don’t remember the name of this book but it is a reviewer for Marine Engineers. It contains questions about boilers, oilers, and other mechanical equipments in the ship. Some review centers gives a photocopy of the “question and answer” portion of the book to their students. It’s a good reference and some questions from this book already appeared on the previous board. The Philippine Mechanical Code is a very important reference not only for “actual work” but also for the ME board exam. It contains standards based on ASME, ISO and other international standards but specifically applied to the Philippine setting. Some of these standards have already been asked in the previous board exams. Lastly, don’t forget your text books such as Machine Design Bokks by Faires, Daughty and Valiance. These are references used by Mechanical Engineers until now and proven themselves already in the past board exams. Note: I do not advice to study the Machinery’s Handbook. It’s too long and will not be practical to focus at. But if you have sometime you can take a look at it. It’s quite of a good reference. What I wrote above is just a piece of ADVICE and mere SUGGESTIONS based on my personal experience and of other successful passers. Also, having these references, by itself, is NOT a GUARANTEE that you will pass the exam. Again, from the previous tips, DILIGENCE and DISCIPLINE plays the greatest factor and both of them depend on YOU. A few decades ago, drawings are done manually using a straightedge and a pen or pencil. Now with the advancement of computing technology, all the works are done inside the computer. Computer Aided Design, Manufacturing, and Engineering (CAD/CAM/CAE) revolutionized the world of engineering in a state we cannot imagine if we are living 50 years ago. In this article, I will take you to the world of “modern engineering” and how CAD/CAM/CAE makes engineers’ job faster and more efficient. Before, making an isometric view of a mechanical part is a burden for engineers whose hands are not good in drawing. Also, the accuracy and clarity of the lines and dimensions varies from person to person. Today, with simple commands like “extrude”, “cut”, “join”, you can make extremely complicated part designs in a far lesser time than before. With the latest commercial packages of high-end CAD softwares, the creations of intricate parts are made even easier. “Parametric” modeling makes it easier to modify the part solid by just changing the parameters. Before, drawings are dead and should manually be changed. Now, the just change the parameter and it will automatically change the part and update the assembly. This is made possible by the complex programming engines behind these modern CAD packages. Before, assemblies are checked visually on the drawing. Today, assemblies of solid parts in CAD are easier and faster to spot interferences between parts. These improvements helped avoid re manufacturing due to static and dynamic interferences that is easily bypassed by inexperienced designer. theoretical equations. With CAD software, engineering is a lot easier and far more accurate than ever before. Finite Element Analysis (FEA) is the feature of CAD packages that do the stress simulation on the part. Finite Element Method (FEM) is the concept behind this. It was a numerical technique of solving partial differential equation. In case of a part, it was divided into small portions called finite elements. Each element stresses are solved using simple stress equations. All these elemental results are then combined using differential and integral calculus to give the overall behavior of the part. With the help of modern computers combined with graphical illustration, the Finite element Analysis becomes a lot easier. It is now easier and more accurate to pinpoint what portion of the part or assembly will probably fail and under what condition it might fail. Injection Molding Simulation (IMS), on the other hand, provides simulation on the actual flow of plastic on the mold. This gives the engineer a better idea on the parameters to change to have a good plastic part. Motion Simulation on the other hand, provides dynamic analysis of moving parts in a machine. Machining and tool making is now done with Computer Aided Manufacturing (CAM). You will just import a CAD file/model of the part then the computers will generate tool paths. You don’t have to be an expert on machining to create accurate parts. The computer will analyze all those things for you. I am hoping that even public universities like ours, TUP will be better equipped with the latest information about the new technologies involving our profession—mechanical engineer. When I landed on my first job, I was overwhelmed by the vast gap between the latest technology and the curriculum we have at school. Filipino engineers have a lot potential to be great innovators. Sadly, no one is there to support us. The government has other priorities than improving the technological advancement of this country. We are a country ran by politicians who only knew about politics. I hope this blog will be a venue for sharing important information like the latest technology about our industry. If you would like to share anything, don’t hesitate to contact me at ideasdigest@yahoo.com.